Manila, Philippines - The Sing-off immediately follows the Battles in the much awaited episode of best vocal competition on ABS-CBN, 'The Voice Kids' Philippines on Sunday, June 29, 2014. 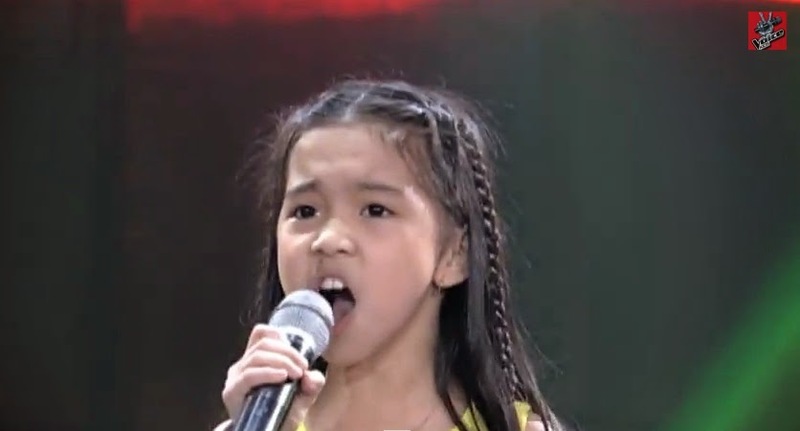 Team Lea's young artists Tonton Cabiles ("It Will Rain") and Darlene Vibares were chosen to advance in the Live shows. "OMG! You are staying and we all love you, Darlene." Coach Sarah said after her powerful rendition of "And I'm Telling You". Other artists who advanced to the Sing-offs are Eufritz Santos ("Who You Are"), Angel Aguilera ("I Believe I Can Fly"), Jimlord Garcia ("Unchained Melody") and Shanne Dandan ("On My Own"). Unlike the Battles where the coach picks for the song they are going to sing, in the Sing-off the decision is solely been done by the artists. The episode of Sing-offs on Sunday dominates online conversations with '#TeamLeaBattles', 'Go Jimboy', 'Hey Soul Sister', Anak ng Pasig', 'Omg Darlene' and '#TeamLeaSingOff' among the trending topics.